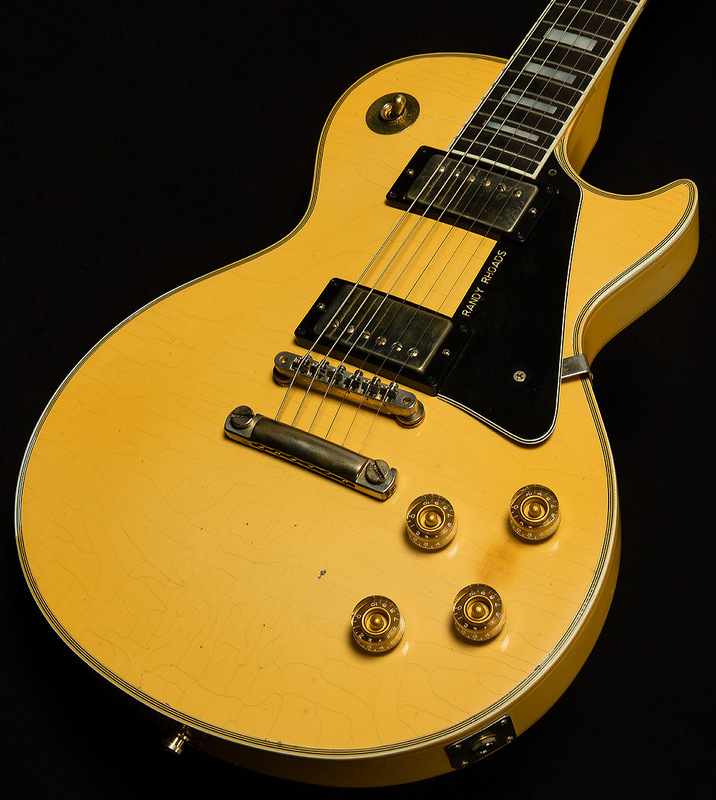 Shredmaster general and six-string legend Randy Rhoads is known for playing guitars shaped like Vs, but he got his start playing a white '74 Les Paul Custom. Legend has it that when Ozzy Osbourne auditioned the young guitarist for his band, he pulled his beloved Custom out of the case and got the gig before he even finished warming up! 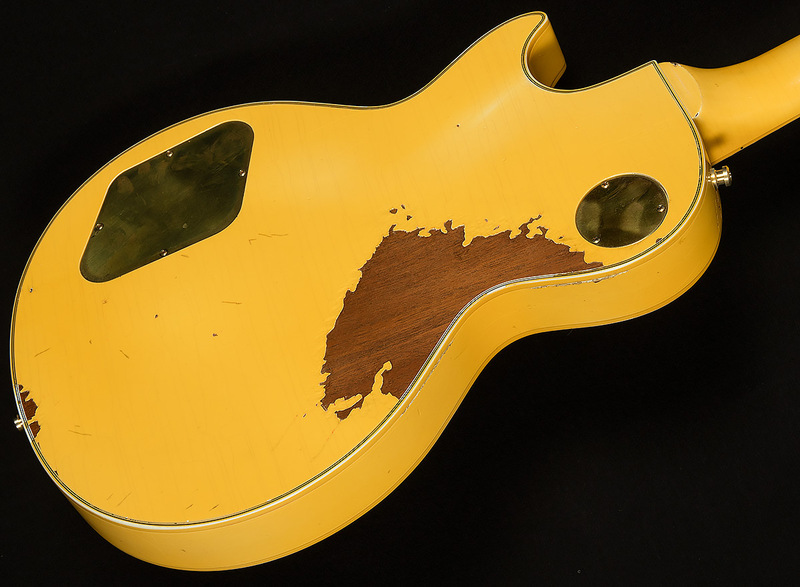 It probably had more to do Randy's signature blend of furious virtuosity and rock and roll fun than the guitar he was playing, but having one of the coolest Les Pauls of all time probably didn't hurt his cause! 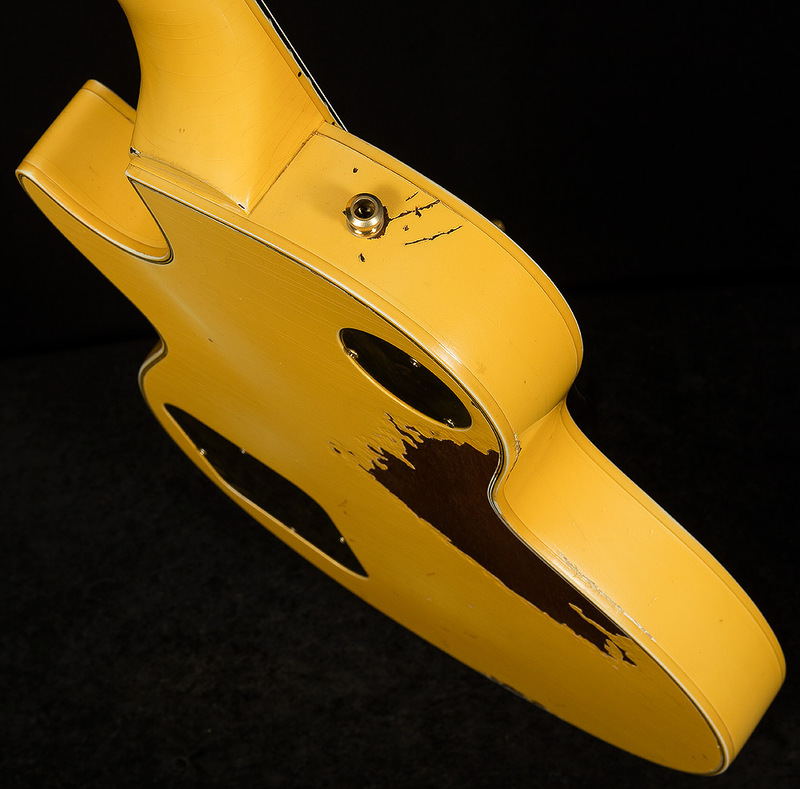 Rhoads's original Gibson is particularly iconic because of the way the original white finish aged and took an amber tint over the years, and in 2010 Gibson paid tribute to the dearly-departed guitarist by replicating his '74 in painstaking detail--right down to that legendary aged paint job! 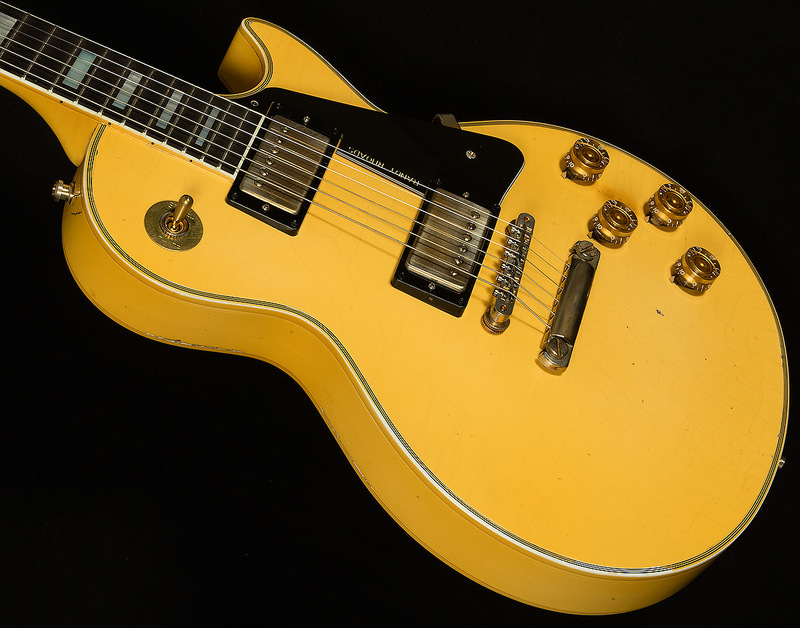 This reissue sounds the part, too, thanks to two '74 Super Humbuckers that give you all sorts of classic Gibson sounds. 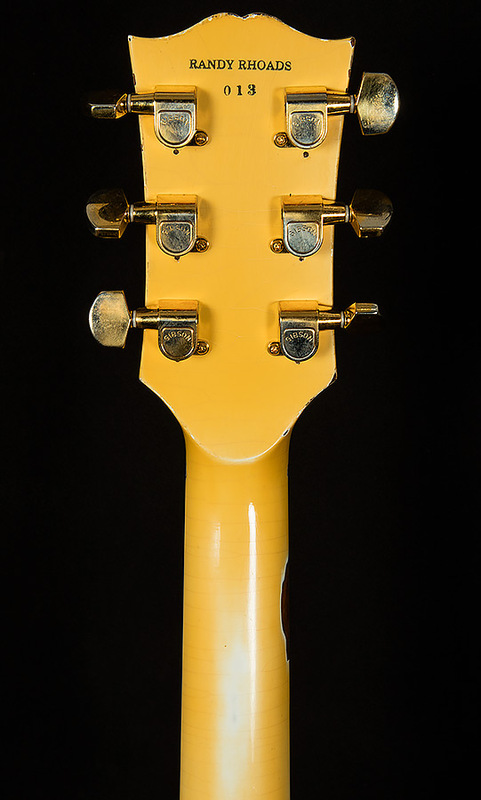 The neck pickup is deep and warm sounding, with round bass response, woody low-mids, and smooth, glassy trebles. The bridge pickup is aggressive as all-git-out, with plenty of raspy, throaty midrange to go with searing highs and tight, articulate lows. 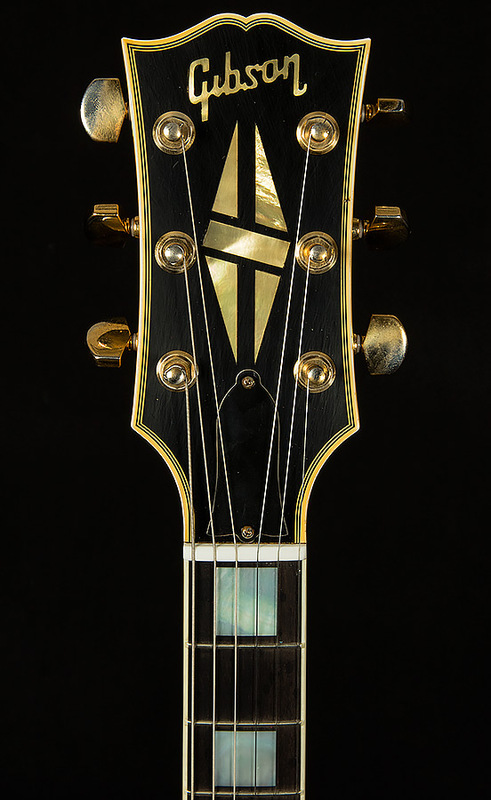 Playing this guitar really does make you feel like you have the essence of Randy's sound at your fingertips, and having such an iconic tone readily available is sure to inspire you day in and day out. 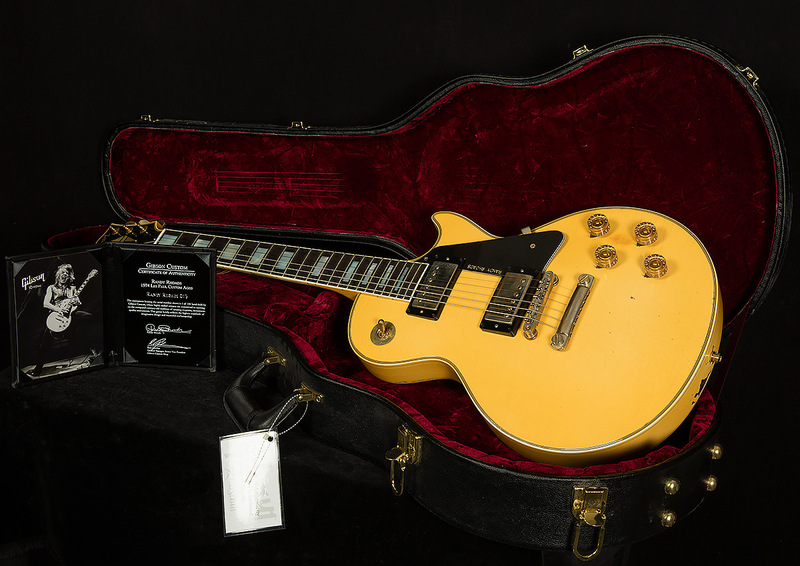 This very limited aged Randy Rhoads Les Paul Custom is in excellent condition with no play wear to speak of. It looks unplayed! 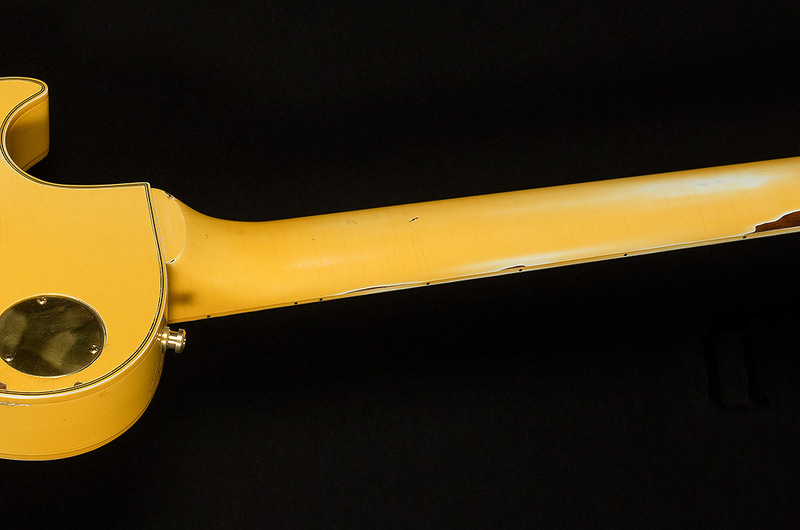 It includes the original hardshell case and COA.